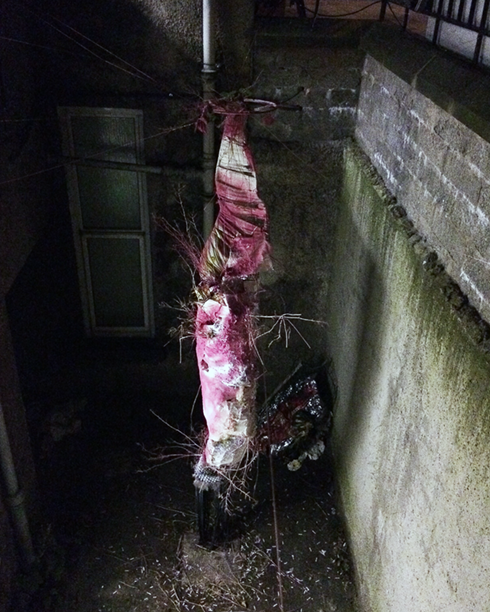 A ’Njuzu’ Chrysalis, An installation inspired by Zimbabwean traditional healing mermaid myth for the Scottish Mental Health Festival, Summerhall. An installation for the exhibition Out of Sight ,Out of Mind , at Summerhall Edinburgh. Depicts and advocates for more study on womens’ PMT and its close association with ‘madness’. Here Combined with Njuzu Chrysalis in an attempt to connect why witchdoctors do not perform healing processes during their time of the month! !